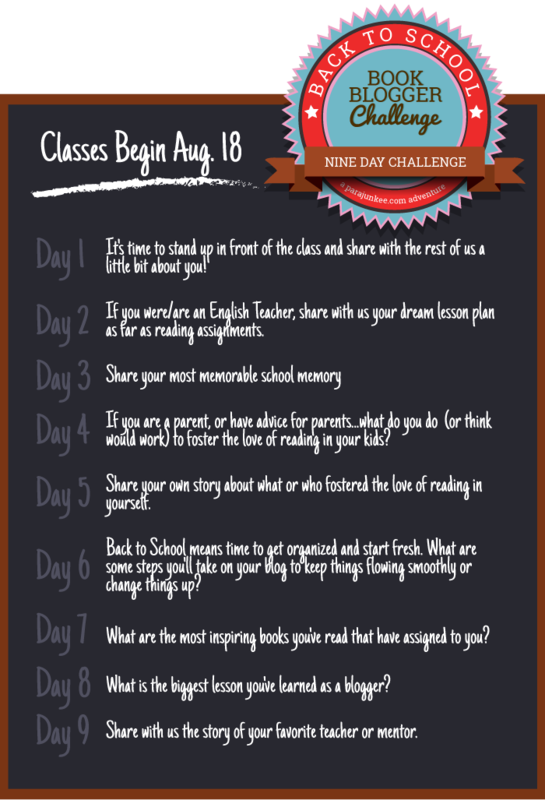 Midnyte Reader: Back to School Book Blogger Challenge - Day 3. Day 3: Share your most memorable school memory. I'm assuming that this should be book related so I won't go into the embarrassing memories that haunt me. I'll talk about my bookish memories. Suffice it to say, my favorite subject was always Reading and English. I also loved "Free Time," kind of like an indoor recess where most people would do their homework, but of course, I read books. I also loved when teachers read to the class and library time (when the librarians read to us). One of my favorite book memories was from Elementary School. 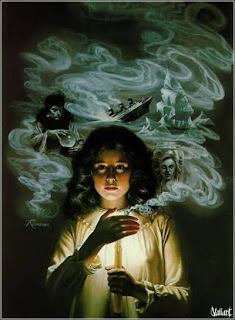 I saw a poster for Ghosts I Have Been by Richard Peck on the school library window. Unfortunately, the book wasn't in yet! Aaaaaaa! I kept waiting and asking and I'm sure the librarians were fed up with me. Finally, the book arrived and I bet I was the first one to check it out. The anticipation was part of the excitement I'm sure, but I remember also loving the book. Sometimes when you wait for a book, it's not as good as you had hoped, but I do remember absolutely loving this one. What are some of your favorite memories from school? Ooo yes I remember always reading during free time too Pam! And spending a lot of time in the library scanning the shelves for my next read. I can't remember ever desperately waiting for a book to come in, but I certainly have experienced that feeling as an adult, and it's always the best when that book is worth the wait! I always remember hanging out in the library with and my friends in high school. Also I checked out the new books that had just come in. I think I spent most of my time in the school library! I was even one of the student librarians and helped out quite a lot, and I was constantly putting requests in to the librarian. But once I got into sixth form, I'd do anything to stay away from the library because that's where everyone would go and it was just way too loud in there. I loved that book! I think I bought it through one of those Scholastic ordering books. One of my favorite bookish memories happened in 9th grade. I had seen a cover of book at the grocery store called Once a Princess by Johanna Lindsay. At this point I hadn't ever read any adult romance. But even though I'm sure my mom would have bought it for me, I was too embarrassed to ask her too.